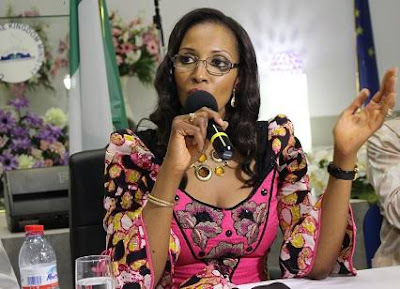 Bianca Ojukwu will on Wednesday face two billionaires, Ifeanyi Ubah and Nicholas Ukachukwu in the senatorial primary of the All Progressives Grand Alliance (APGA) for Anambra South district. the son of first republic aviation minister, Ikenna Amaechi and Anselm Enyimba, a banker. The Punch investigations revealed that her rivals had vowed not to step down for her despite entreaties by the APGA leadership for them to do so in honour of Ojukwu who mentored the party for over a decade. Ubah and Ukachukwu told journalists that they were prepared for the party primary, dismissing the possibility of stepping down for Bianca. Their reaction followed rumours that the governor, Willie Obiano, and some leaders of the party, had prevailed on them to step-down for Ojukwu’s widow. Ubah had on Saturday reportedly published a video on the Internet in which he claimed that the state governor allegedly promised him the senatorial seat of Anambra South senatorial district in the buildup to Obiano’s second term election in November 2017. When contacted on the phone, Ubah simply said he was ready for the primary election, stating that the party had already assured aspirants of a free and fair primary.